It weighs just 5 pounds, yet packs an 8th-gen Core i7 and GeForce RTX 2080 Max-Q GPU. Gordon gets some hands-on time with the MSI GS75 Stealth, the new 17-inch version of the popular GS65 Stealth. It's only five pounds but still packs up to an Intel Core i7 or i9 and Nvidia RTX 2080 Max-Q. 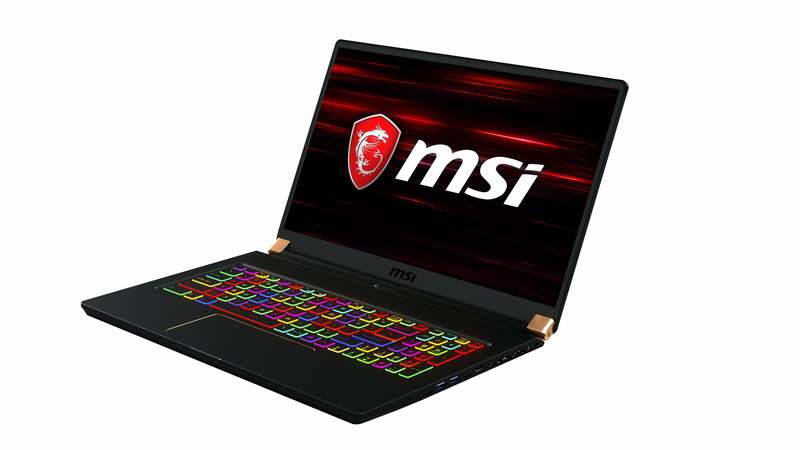 We’ve come a long way with gaming laptops, and nothing illustrates that more than MSI’s new 17-inch GS75 Stealth laptop. Shown at CES, it packs in a high-performance CPU and GPU while still weighing an amazing 4.9 pounds. How light is that? It’s just a half-pound heavier than some 15.6-inch laptops. Even crazier: this 17-inch laptop has a slightly smaller footprint than a 15.6-inch laptop from just a few years ago. The GS75 Stealth features a 17-inch screen with a resolution of 1920x1080 and a refresh rate of 144Hz. 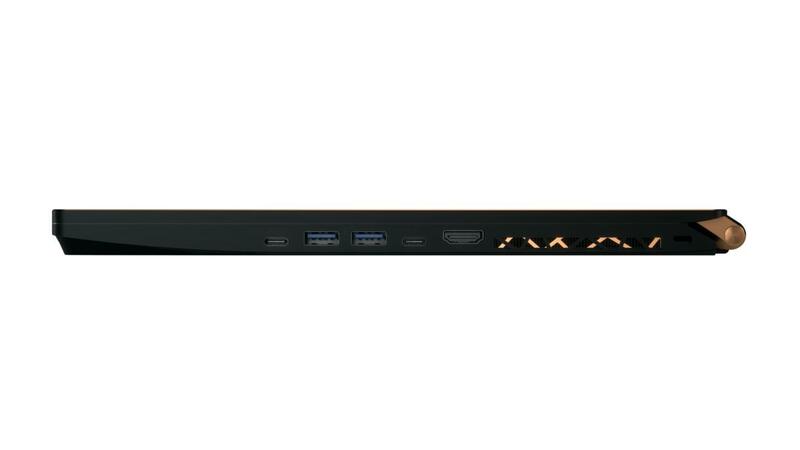 The panel doesn’t support Nvidia’s G-sync, which requires the GPU to be on at all times, to the detriment of battery life. The battery life itself is fairly decent, at a claimed 8 hours of “productivity” on its 80-watt hour battery. The GS75 is truly thin and light at 19mm thick and 4.9 lbs of carry weight. For CPU, the first models will ship with Intel’s 6-core 8th-gen Core i7 CPUs, with a Core i9 planned for later. Graphics is left to Nvidia’s new top dog for thin and lights: the GeForce RTX 2080 Max-Q. Both the CPU and GPU are cooled with an improved 7-heat pipe system, which MSI officials said should prevent throttling from the components inside. The company has also listened to complaints about ease of servicing the GS63 and GS65. MSI designed the motherboard in the GS75 so a simple removal of the bottom will let you access the three M.2 slots. Two of the M.2 slots support PCIe, while the last is limited only to SATA. One last touch MSI did was to shrink the power brick. Rather than use a typical model that would have been thicker than the laptop’s body, MSI includes a fairly slim and fairly compact 180-watt power brick. The company will also offer an optional adapter exceed 200 watts. Pricing of the laptop wasn’t disclosed. The company said it should go on sale as soon as the end of this month.